Vancouver, BC, June 29, 2018--(T-Net)--The BC Government announced that five projects were posted to BC Bid today, as the Province launches the second year of the B.C. Startup in Residence (STIR) pilot program. The program brings the ideas and expertise of technology companies, together with the B.C. government, to help solve digital challenges in government and improve service delivery to people in B.C. The STIR program gives tech companies inside and outside of B.C. an opportunity to submit their proposal to do business with government. Successful applicants will participate in a 16-week residency, where they will gain valuable insight into working with government. They will have the opportunity to develop their own intellectual property, with the ability to sign multi-year contracts for further development, future licence fees or maintenance work. Calls for proposals will close on July 25, 2018, with contracts signed in September. The STIR pilot program was launched in 2017, and is the first program of its kind in Canada. It is modelled after a successful program in San Francisco. The technology sector directly employs over 106,000 people, and wages for those jobs are around 85% higher than B.C. 's average. B.C. has seen a 3.3% rise in the number of new technology companies in 2016, growing to over 10,200 businesses. Employment in the tech sector rose 4.1%, surpassing B.C. 's overall employment growth of 3%, and national tech sector employment growth of 0.3%. B.C. tech wages and salaries hit a new all-time high for the sixth consecutive year, climbing 7.4% to just under $9.4 billion. The tech sector produced approximately $28.9 billion in revenue in 2016, a rise of 9.2% from 2015. The B.C. public service has identified the following challenge areas, and is willing to dedicate time, energy, and funding to create solutions. 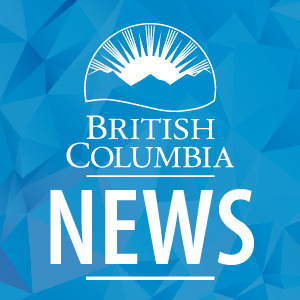 The individual calls for proposals are posted on BC Bid in accordance with the Province's procurement policies. Proposals are due by July 25, 2018. The Ministry of Jobs, Trade and Technology is looking for a way to allow its users to find up-to-date, comprehensive, and appropriate economic development funding options based on their specific and unique needs. To do this, a solution would likely require the ability to automatically index and tag content related to grants and funding, so that users can easily find what they are looking for. The Environmental Assessment Office (EAO) is looking for a way to allow users, such as EAO staff, decision makers, Indigenous nations, working group members and project proponents, to quickly and accurately identify topics mentioned in comments received by the public. The solution should also allow users to visualize these topics in a way that provides them with information that will support the environmental assessment process. The Ministry of Attorney General's Court Services Branch is looking to transform and modernize court administrative services by moving its paper-based court interpreter scheduling and payment processes online. The solution will incorporate the existing directory of court interpreters and enable interpreter clerks throughout the province to schedule and pay interpreters through an integrated online system. The B.C. Public Service Agency is looking for a way to support the changing needs of public servants who wish to donate to charitable causes and events close to their hearts, through payroll deductions and other methods. It needs a modern, online tool, and a way for finance and payroll staff to facilitate the donation process which will help support employees to give to registered charities. The practice of charitable donations made through payroll deductions is part of the B.C. public service's offerings to employees. The Ministry of Indigenous Relations and Reconciliation (MIRR) is looking for ways to streamline its analysis of Crown land parcels under consideration for inclusion in negotiations throughout the province. The Province, First Nations and stakeholders have legal interests, rights, restrictions, and designations on Crown land, and MIRR negotiators need to have access to this information to allow them to determine whether selected land parcels should be included in negotiations with First Nations.